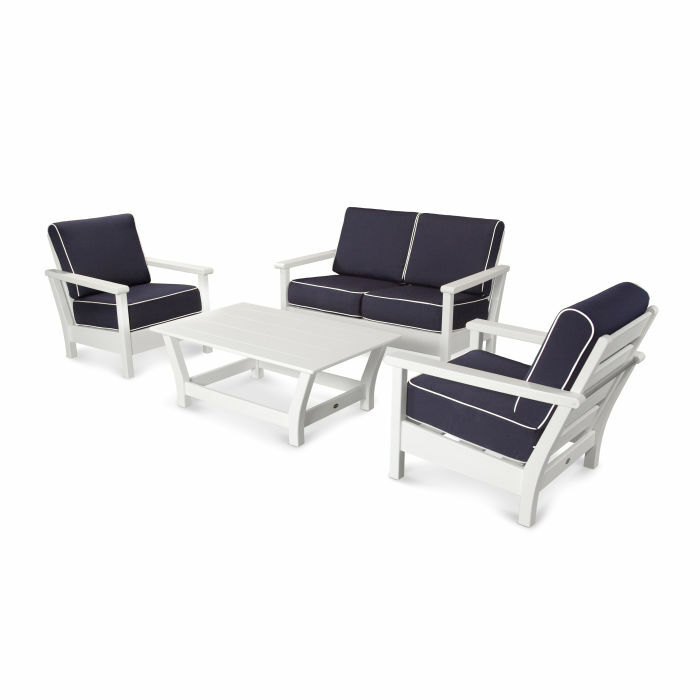 Cozy into the plush seating of the Harbour 4-Piece Outdoor Living Set to experience unmatched comfort and style. Its sleek design includes all-weather cushions with Sunbrella® fabric and a decorative welted edge. Cozy into the plush seating of the Harbour 4-Piece Outdoor Living Set to experience unmatched comfort and style. Its sleek design includes all-weather cushions with Sunbrella® fabric and a decorative welted edge. This eco-friendly set comes fully assembled and is constructed of durable, all-weather POLYWOOD® lumber to provide convenient comfort that is sure to last a lifetime.